Planica hosted the first of two FIS Continental Cup Nordic Combined competitions, the 12th race of the season. 59 athletes from 13 countries took the stage at 10.30 on the Bloudek giant jumping hill and continued with the competition at 15.00. Excellent conditions on the hill allowed some great jumps, the best being those of home athlete Marjan Jelenko and German Terence Weber. Both landed at 134.5 meters. Norwegian Harald Johnas Riiber took the third place (133.5 m) with a 26 second deficit before the second part of the competition. 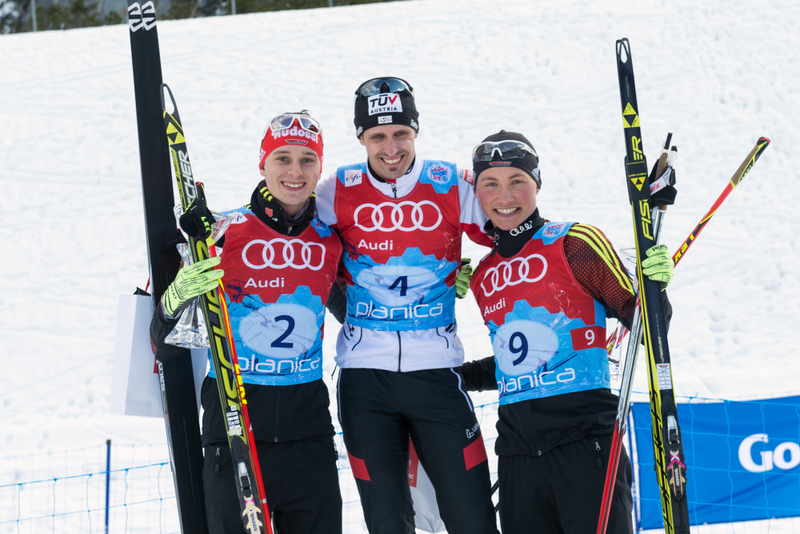 Lukas Klapfer of Austria was fourth (129.5 m) and had to start his run 28 seconds after Jelenko and Weber, while the overall cup leader, Austrian Martin Fritz and German David Welde both finished in eight place with a minute and 19 second deficit. Klapfer showed all his strength in the cross-country race, where athletes made five 2 kilometre laps on the demanding course. The Austrian ran side by side with Weber for approximately half of the race but then switched to a higher gear and won comfortably. Weber was second (+00.18.7), while Welde finished third with a 10 second gap to his teammate. Best Slovenian was Jelenko who took tenth place.